Jozef Rothstein arrived from small-town Pennsylvania in Hollywood with stars in his eyes. Ten years later, he left with those same stars circling around his head. Reeling from the humbling routine of an actor looking for work--any work, even for a chewing gum commercial, clad as a beaver in Speedo trunks and a Scooby-Doo cape while surrounded by beautiful women dressed to the nines--Rothstein found humor the best solution to saving his sanity. Meanwhile, his money-generating job paralleled his dream employment. Rothstein's ten-year sentence as a waiter in a Jewish deli frequented by Tinsel Town's celebrities gave him more of the same ego pummeling, doled out in equal measure by customers and managers, but with a twist. The occasional hit men and drive-bys added just enough excitement to make near-death experiences an unwelcome reality. Here, too, laughter saves the day, and Rothstein gleefully shares the inspirations for a never-ending comedy of terrors. Just as frequently, his own missteps find him flat-flat face on the pavement, sharing space with customers familiar to the world. And yes, Rothstein does name names. Find your favorites in As the Matzo Ball Returns and see Hollywood stars--and waiters everywhere--in a whole new light. 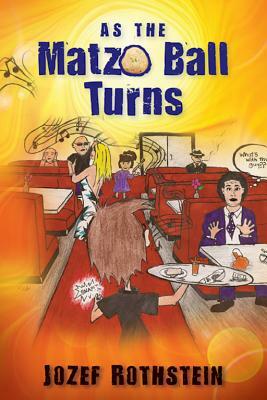 As the Matzo Ball Turns was also honored as a 'Finalist in the Humor Category' from Forward Book of the Year Awards.